A family owned business for over 96 years, Hart and Sons, inc is based in Maplewood, NJ with a state of the art warehouse in Plainfield, NJ. 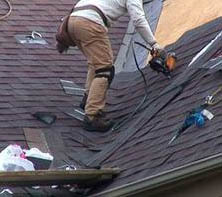 No matter what your roofing, carpentry or masonry needs we can help. We handle all types of roof leak repair, slate roof repair and restoration from roofing to carpentry to chimneys, masonry, stone, brick and gutter work. How many companies can say that their employees love their job? It is safe to say that we can. Some of our employees have been with us for well over 30 years. We have employees with over 40 to 50 years experience in the industry. You can trust in us as we are fully licensed and insured with a long history of happy clients. We take pride in our work’ because we are master craftsman in our trade, our quality custom work and attention to detail is second to none, and our workers are the best craftsman in the business!